We are a leading Manufacturer of air cooled oil cooler, hydraulic air coolers and hydraulic oil coolers from New Delhi, India. 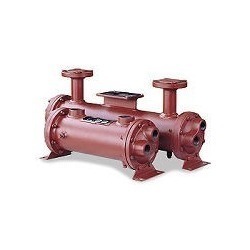 By keeping track with the market development, we are engaged in offering world class Air Cooled Oil Cooler, which is widely utilized in different buildings, restaurants, schools and factories. Our offered oil cooler is manufactured using high quality raw material and latest techniques in accordance with the universal standards. Available in various specifications, the offered oil cooler can also be availed by clients from us at the most competitive prices. Owing to the efforts of our qualified professionals, we have been constantly indulged in offering a qualitative assortment of Oil Coolers. Coolers offered by us are extensively used in the area where water is not available for cooling purpose. These are fabricated using the best quality raw material and latest technology in accordance with the set industry standards. Our team of quality controllers rigorously check the offered cooler on various parameters to ensure their faultlessness. 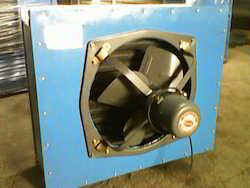 Hydraulic Oil Coolers are widely demanded among clients spread all across the globe. These are fabricated with distinctive spiral corrugated tube design. 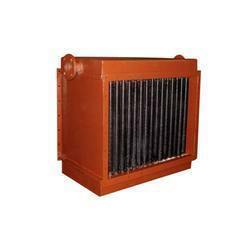 The oil coolers offered by us are suitable for heat transfer fluids, lubricating, transformer and quenching oil. Widely used in hydraulic engines and power packs, these are available in various customized options as per the variegated demands of clients. Clients can purchase the offered range from us at the market leading rates.